The modern effect tiles meet different needs: they can be employed for domestic or external use but also for service and commercial areas. 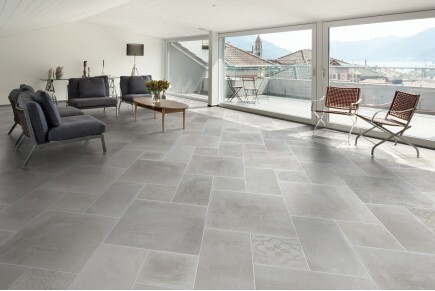 We present you our wide offer of concrete, resin and stone effect tiles; in our catalogue you can find different colours and formats, in order to satisfy all of our customers‘ needs and personal tastes. Super collection by Armonie Arte Casa is all about black-and-white: here colour is the absolute protagonist. 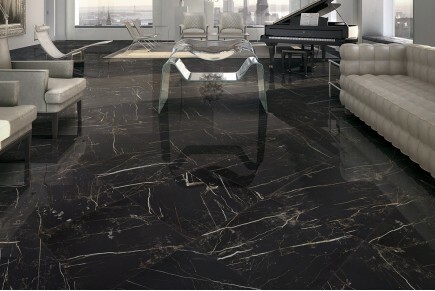 In these modern effect floor tiles black is a real style and elegance icon. 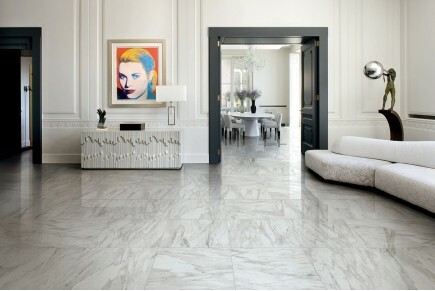 Porcelain stoneware modern effect floor tiles, full-body coloured and rectified. Modern effect tiles - Atlantic GE 1300 60X60 RET. Modern effect tiles - Blackmoon GE 1301 60X120 RET. 60x120 RET. 60X60 RET. 60X60 LAPP. RET. 30X60 RET. 80X80 RET. Modern effect tiles - Mineral GE 1302 60X120 RET. Modern effect tiles - Fossil GE 1303 60X120 RET. 60x120 RET. 60X60 RET. 30X60 RET. 80X80 RET. Modern effect tiles - Zinc GE 1304 60X120 RET. Modern effect tiles - Light GR 1300 60X120 RET. Modern effect tiles - Greige GR 1301 120X120 RET. Modern effect tiles - Dust GR 1302 120X120 RET. Modern effect tiles - Titan GR 1303 120X120 RET. 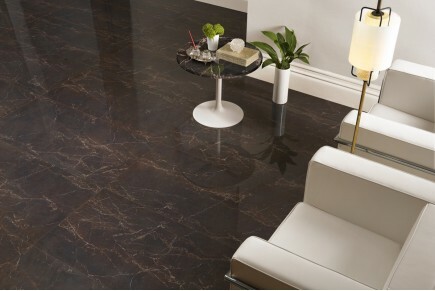 Modern effect tiles - Dark GR 1304 60X120 RET. Modern effect tiles - Brown HO 1302 60x60 RET. 60X60 RET. 30X60 RET. 30X60 RET. 30x30 ret. 30x30 abraso ret. Modern effect tiles - Charcoal WA 1300 120x120 RET. 120x120 ret. 60x120 RET. 60x120 lap. Ret. 60X60 RET. 60x60 lap. Ret. 60x60 ret. Strutt. 80X80 RET. 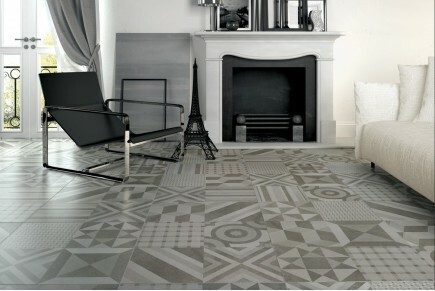 Modern effect tiles - Clay WA 1301 120x120 RET. 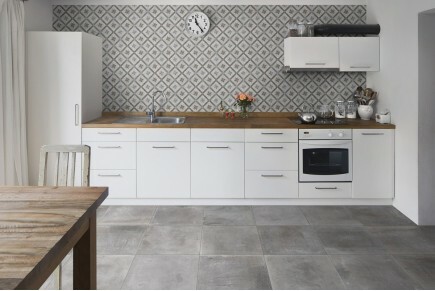 Modern effect tiles - Grey WA 1302 120x120 RET. Modern effect tiles - White WA 1303 120x120 RET. Modern effect tiles - Mud XT 1300 60X120 RET. 60x120 RET. 20x120 ret. 60X60 RET. 60x60 ret. Strutt. 30X60 RET. 30x60 ret. Strutt. 80X80 RET. Modern effect tiles - Silver XT 1301 60X120 RET. Modern effect tiles - White XT 1302 60X120 RET. Modern effect tiles - Grey XT 1303 60X120 RET.